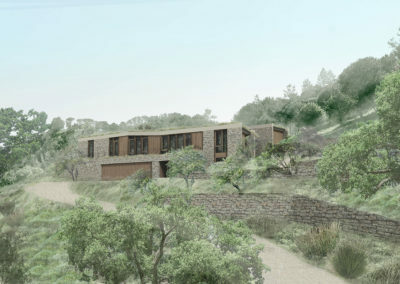 Channeling Frank Lloyd Wright’s conviction that “no house should ever be on a hill…it should be of the hill. Belonging to it,” the architects of Contour 1 set out to create a landform building carved both out of and into its steep hillside site. 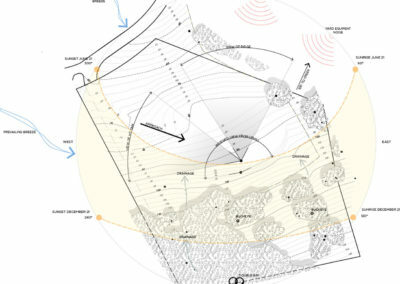 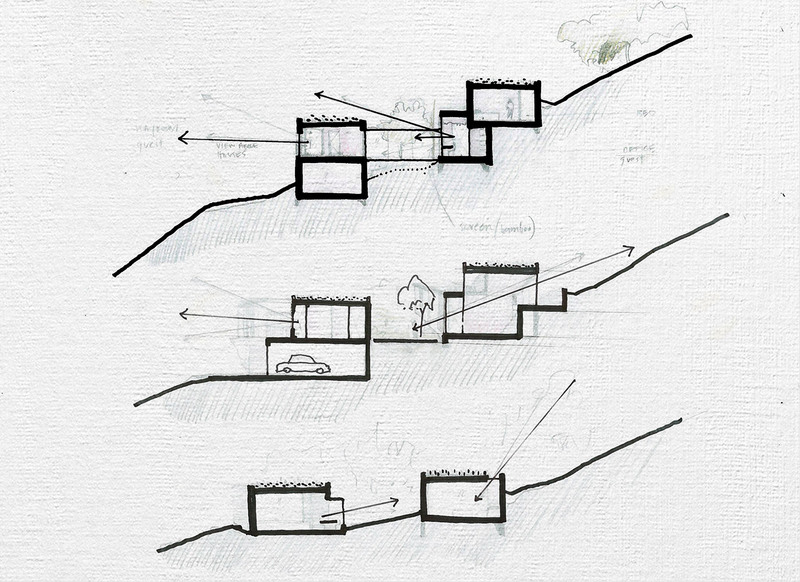 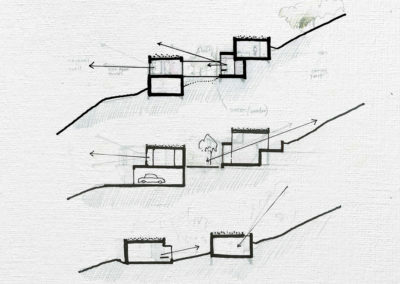 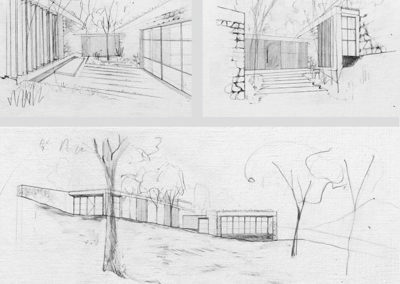 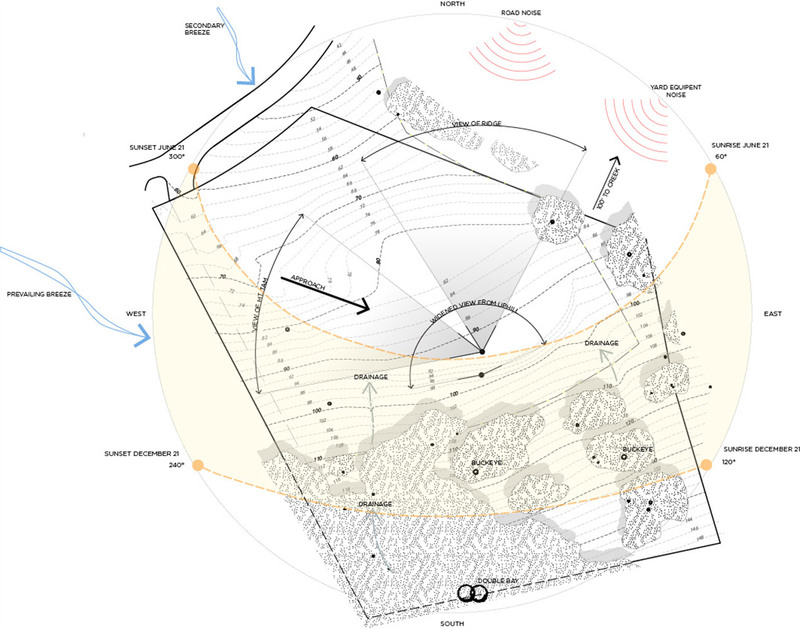 Prior to Feldman’s involvement, an earlier construction plan had detailed out leveling the hillside; fighting it, rather than embracing the unique contours of the land. Despite being one of three plots of undeveloped land in the area, Contour 1’s allotment provided an unusual challenge. 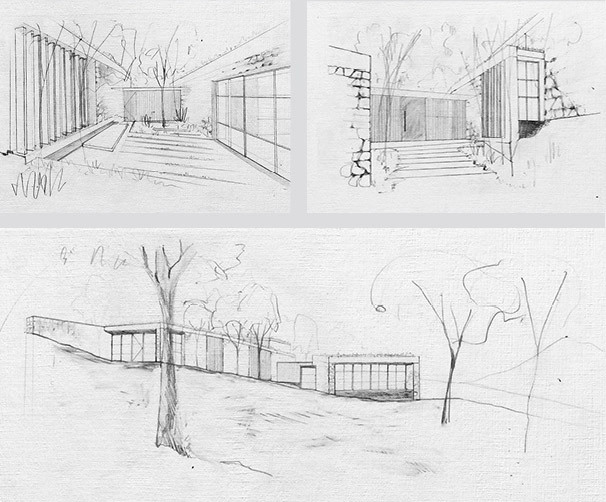 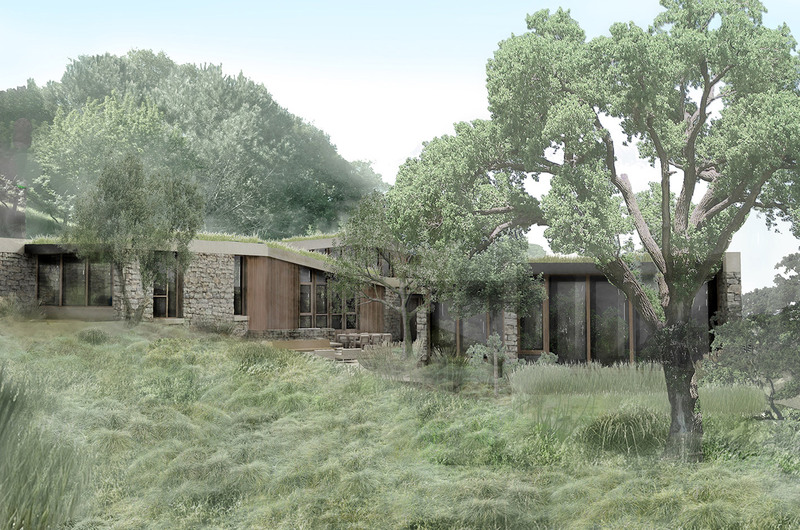 The clients had a strong desire for experiencing both the views, and interesting features the landscape had to offer. 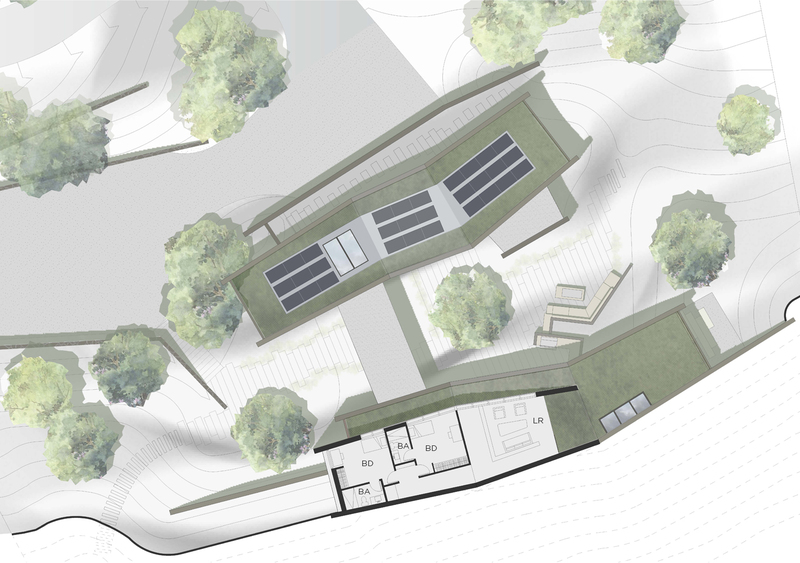 As parents of two young boys, they were eager to create an exclusive playground to activate their imagination and encourage inspiration. 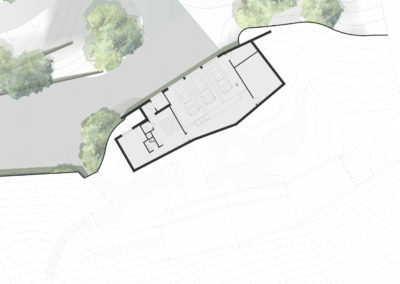 The father was especially enthusiastic about the area’s potential, going as far as to start discussions for bike trails with their immediate neighbor. 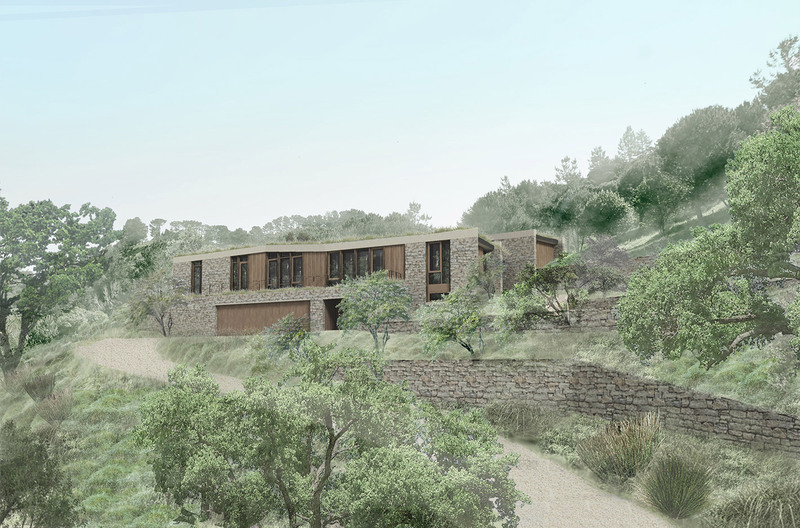 To achieve the client’s vision, two separate stone and timber structures, termed “bars,” were placed in parallel into the hillside. They are linked by a glass entry corridor and mimic the contours of the site while separating the home’s shared and private spaces. 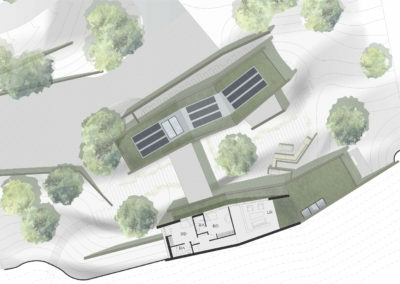 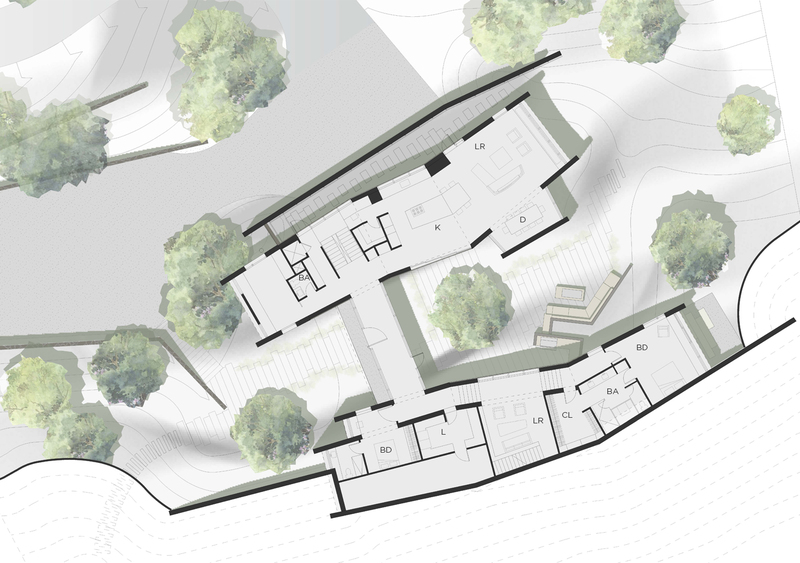 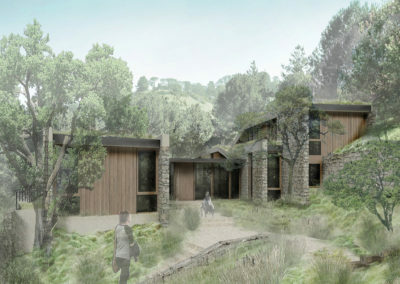 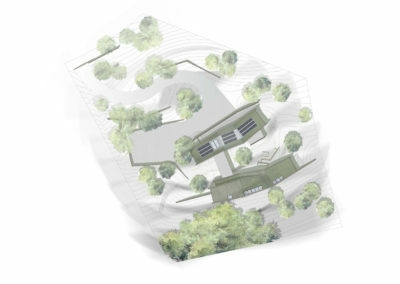 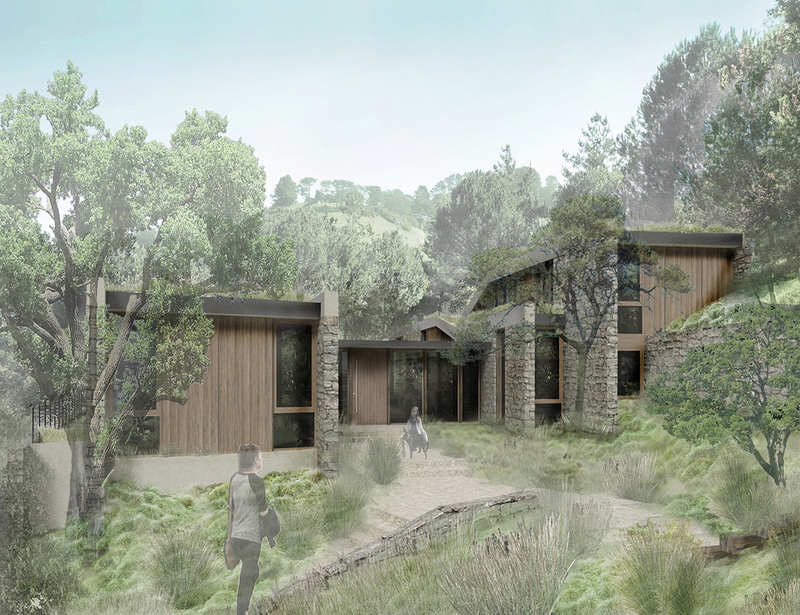 A courtyard cloistered between the two structures positions the private bar upslope, creating space for the lower bar of the home to capture uphill sightlines towards the ridge, as well as heritage trees along the upper portion of the site. 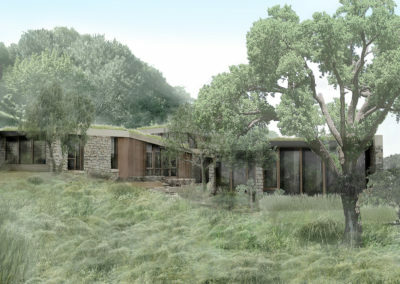 Glass apertures on the bars’ ends usher sunlight into the home and frame unimpeded views to the east and the west, while stone walls extend out from the structures into the landscape, anchoring the house to its site.